This book’s title tells its intent. It is written to help you understand media and culture. The media and culture are so much a part of our days that sometimes it is difficult to step back and appreciate and apprehend their great impact on our lives. The book’s title, and the book itself, begin with a focus squarely on media. Think of your typical day. If you are like many people, you wake to a digital alarm clock or perhaps your cell phone. Soon after waking, you likely have a routine that involves some media. Some people immediately check the cell phone for text messages. Others will turn on the computer and check Facebook, email, or websites. Some people read the newspaper. Others listen to music on an iPod or CD. Some people will turn on the television and watch a weather channel, cable news, or Sports Center. Heading to work or class, you may chat on a cell phone or listen to music. Your classes likely employ various types of media from course management software to PowerPoint presentations to DVDs to YouTube. You may return home and relax with video games, television, movies, more Facebook, or music. You connect with friends on campus and beyond with text messages or Facebook. And your day may end as you fall asleep to digital music. Media for most of us are entwined with almost every aspect of life and work. Understanding media will not only help you appreciate the role of media in your life but also help you be a more informed citizen, a more savvy consumer, and a more successful worker. Media influence all those aspects of life as well. 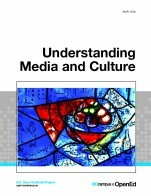 Understanding Media and Culture by Jack Lule, Lehigh University is licensed under a Creative Commons Attribution-NonCommercial-ShareAlike 4.0 International License, except where otherwise noted. At over 700 pages, this introductory reader is not wanting for more material. If anything, the text is too detailed and runs the risk of cataloguing too many micro-changes in media and culture while missing the way these trends work at a more theoretical level. 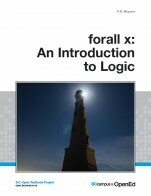 But then again, it is an introductory text. Arguably students will come to a course like this with a good deal of sophistication about media use--so the text could do a better job of leveraging the preexisting knowledge base and technology use to raise more compelling arguments. There is, in the PDF version, no effective glossary, index, or table of contents. This emerges throughout one's use of the book as the text's greatest weakness, one that is easily rectified with simple edits. Given the amount of vocabulary dished up, a glossary would be an asset to the text, which is thorough and detailed, but not easily navigable for quick study or for drawing upon anecdotes for a lecture. Similarly, bolding the technical vocabulary and keywords would help make the text more readable, easier to follow, and a better resource for students across a variety of academic levels. I am particularly pleased to see a section dedicated to media literacy, an all too important part of critical media studies. While I think more page space could be given to the topic--which would probably have benefited from more actual media (images, charts, etc.) -- it is still a most welcome addition to this text. The content is mostly accurate, though issues around a heavy reliance web links and technology mean that references may quickly fall out of date. I did note a few dead web links throughout. The content is very current, drawing heavily upon web resources as recently as 2013. While today's students may find the introductory reference to the T-Mobile Sidekick humorous, the author does a good job of not hanging arguments on particular technologies. It would be tempting to write at length about the iPhone for instance, but instead the author speaks about media as increasingly mobile and the role smartphones like the iPhone play in that process. Still, there are many web links here--a few that lead no where, and plenty more that are still active. Given the rapid rate of change online, this all seems incredibly lucky, and instructors may have to buttress the examples in the book with modern examples when links do not lead to their intended destinations. The text could be clearer. The prose at time meanders. Case studies are picked up and dropped somewhat erratically. While the author seems truly enamoured with the field, the writing is at times very long-winded and dispassionate. Real opportunities to engage students in a topic they are already invested in are lost as the book bogs through films, music, technology, and a broad mix of social science theory. One look at a page of the text and you will feel an opportunity lost: how is it we're talking about media and culture and our pages, are long, text-heavy narratives? Images are scant and could be more strategically applied, and long sections of text dominate. In those chunks of material, it can be hard to find the real gem and key facts. I'm skeptical of a student wading through 750 pages sequentially like a novel. I don't find a clear sense of how terminology will be used or defined and certainly no framework. While there are objectives at the outset of a chapter, the lack of a table of contents, glossary, and index makes these framework less obvious. 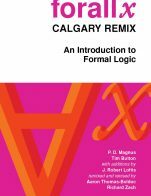 If you stay with the book and read it linearly, the organization does make sense--but as some parts of the book run the risk of becoming outdated before others, that linear logic of the text will undoubtedly be challenged. There is no interface to comment on, specifically, as the text is only available in PDF/DOC. I would like to see a web version as it has great potential to draw upon web technology to both keep the data up-to-date, reinforce a clear organizational structure, and develop an interface that supports modularity. I did spot a few grammar issues throughout the text, but none are major and are easily fixed. Still, a bit surprising to see any grammatical errors, but given the enormity of the text, a few issues with spacing, commas, and spelling are understandable. The text is not insensitive or offensive. 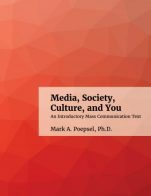 The text does an excellent job of covering the areas and ideas relating to media and culture within the United States of America up to 2010. Content is accurate up to the time frame of about year 2010. Given that new media and digital technology are rapidly changing as I write, there may be a need to refresh relevant content. That said, I still found considerable value in the content. I prepared a list of minor grammatical errors which I found throughout the text. I will provide this list in a separate document to my contact at Campus BC. As mentioned, content is relevant but not completely up-to-date. The text is written in such a way where updates could be easily introduced by an instructor. I enjoyed reading this text and learned good information that I may use in my own class on Writing for Business and Government. There were explanations about jargon and technical terms common to the media industry and thorough sitings to support information presented. Yes, I found the text to be consistent with regards to terminology and framework. I could bounce around the text, learn new and different things, and return to a chronological read-through without losing understanding or feeling confused about terms and framing of information. The text is very well thought-out and the information is presented in clear, relevant, understandable sections. It would be quite easy for an instructor to refer to certain sections throughout the text in any order without creating disruption for the reader. Yes, topics are presented in a logical and clear manner. Yes, the text is visually pleasing, flows effectively without distraction or confusion. I did find a number of grammatical errors which I will provide in a separate document to my contact at Campus BC. The text is deeply focused almost entirely on American media and culture. There are references and acknowledgments of European media and culture, primarily around the invention of certain media methods like the printing press, the newspaper, book publishing, and magazines. However, I would say more than 90% of content is primarily devoted to American media and culture. That said, the text is still relevant to Canadian students because we consume a considerable amount of American media and are impacted by American culture as a result. There are sections, however, that are less relevant, such as the history of newspapers, radio, and television, which are devoted to US produced media only. I really enjoyed reading this text, as American as it most certainly may be, because the content was compelling and very informative. The writer has put media and culture into perspective in a logical and appealing way. It is thoughtful, relevant, stimulating, and loaded with good information about how media is changing people, culture, as well as business and government. I will most definitely use sections in my upcoming writing class. My greatest issue, however, was the deep American references to war, violence, politics, economics, history and celebrity. As accurate as this text may be, it is not relevant to Canadian media and culture no matter how massive the US media and culture market. There is no doubt Canadians consume American media, but it does not define Canadians. For that reason, the text has limitations for Canadian learners and educators. This is where I think the book has some significant issues. if you're looking at the book for the history of each medium (i.e. newspapers, music, radio, television, etc.) it does an excellent job. It's more thorough than I've ever been able to be in a lecture. However, much of the "current" information is already outdated. For example, it talks about websites and social media sites that no longer exist, television shows that are no longer popular, etc., for every medium. While that's fine from an historical point of view, I think it would make updating the book extremely difficult. I found a number of areas that I flagged that were already outdated. For example, it mentions that an employer might view your Flick'r photo album when searching for a job (Chapter 11). But Flick'r is a photo sharing site that is hardly used anymore in 2017/2018. Or the story of subservient chicken in Chapter 12 - again, this is an advertising campaign that was out of use for a long time, and Burger King is actually trying to revive. In another year, it might be forgotten again. This information isn't easy to update, and I fear it may make the text obsolete. The information is scattered in may places throughout the text (in introductions to each chapter, for example), and there's no easy way to update it, that I can see. I already felt it might be too obsolete to use in my class in the fall of 2018. I like the history aspect of it, but anything "current" already feels dated. I think the writing style is excellent. Very friendly and accommodating, and is free from jargon. It explains complex media theories quite simply, which I do think makes it relevant for a college audience. I found it to be an engaging read, and quite thorough. I agree with this. I think it's quite consistent, and this may stem from the very accessible writing. It is very easily divisible, but visually and practically, it's not. (if that makes sense.) While the text is broken into quite comprehensive subheads, there's no visual distinction between the subheads. Some of the subheads are even at the bottom of the page - this can be quite jarring. If I assign a certain chapter and section, for example, the student may miss it because the section heading is the last line on the page. This goes along with not having an index. I think not having an index is problematic and makes it difficult for the reader to jump to the required section. As far as the text is concerned, it is not too self-referential. I think if the layout/design problems were rectified, you could reorganize it as needed for use in a class. I think the structure is fantastic. It makes a lot of sense to begin with the discussion of media and culture, and then move to each medium, and then finish with some of the other major issues (economics, government, etc.). This makes it very easy to follow. The images are all fine. I do see navigation problems, however (at least in the PDF version). Again, the lack of index is problematic. I had to scroll through the entire 761 page PDF to see the topic of each chapter. I did not find any errors, although I wasn't proofreading the text. I did not find any insensitive or offensive language. 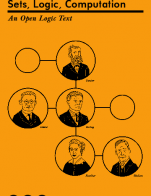 I would like to recommend this book for its thorough information on the history of media and culture. However, because of the issues of the book being outdated quickly, I don't think I can comfortably recommend this book in all cases.